The aim of this sixth edition meeting is to review recent advances in fluid management, and hemodynamic and organ function monitoring in the critical care setting in a comprehensive manner for intensivists, anaesthesiologists and emergency physicians as well as interested internists and surgeons. 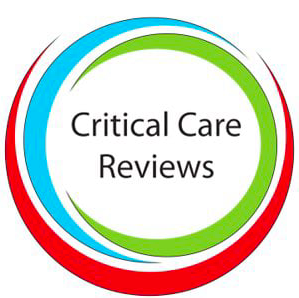 However the meeting will deal with any broad topic related to critical care. As always it is also a great way to promote professional interaction between faculty members, participants and delegates of the industry. What a fantastic meeting it was…attracting a wide variety of speakers, from all over the world. Despite what you think…it isn’t ALL about fluids. Manu Malbrain is an extremely friendly, affable character who seems to have the ability to create magic in a meeting. And he did just that! This year, we all got together to make this a special gathering…..SoMe in mind! We set-up in the social media room, all with individual tasks and off we went with various bits of tech, (cameras, microphones and of course laptop after laptop)! The aim, to raise the profile of iFAD and get the message out about various different aspects of fluid / CVS / Sepsis based ITU care. There was much more though….workshop after workshop, from POCUS to Statistics! This blog should go a long way to summarise just what was out there for you. You can relax and click on all of the links, many of which will take you to the main iFAD site. The team summarised all of the sessions for you on each blog and I got about podcasting like a crazy person! For me, this meeting was a very unique phenomenon. I got to interact and chat with some wonderful and eminent people…from peers to profs! I expanded my network with some other very clever clinicians (not speaking for myself there by the way!) I made long lasting friends and got to see the faces behind some of those Twitter handles you undoubtedly have all seen! The main thing was to highlight the power of amplification that SoMe and FOAMed has! Hats off to Manu Malbrain for arranging such a brilliant meeting and for getting us all together! We will return for the next meeting, that’s a definite! SO…have a look below at what was going on as Tweets went out all over the world! The Faculty has expanded somewhat!! See the full list here. The SoMe team left to right: Dr Matt Morgan(@matrix_mania), Dr Jamie Strachan(@strachanjamie), Dr Cian McDermott(@cianMcDermott), Dr David Lyness(@Gas_craic), Dr Manu Malbrain (@Manu_malbrain) (c), Mr Ross Fisher(@ffoliet), Dr Duncan Chambler(@DuncanChambler), Dr Jonny Wilkinson(@wilkinsonjonny), Dr Gorki Sacher(@GorkiS). Below is a slideshow of some of the SoMe activity…some serious, some not so serious.Getting the word out about the meeting took a lot of effort, but the team did brilliantly under the lead of Duncan Chambler. Thank you to all involved…the above AND: Dr Adrian Wong (@avkwong), Dr Matt Rowland (@matthewjrowland), Mr Brendan Riordan(@concernecus), Dr Aidan Kingwall, Dr Justin Kirk-Bailey(@paradicmshift), Dr Segun Olusanya(@Iceman_ex), Dr Tamas Szakmany(@iamyougasman). Meeting some of the guys listed was extremely fruitful. I learnt how to manipulate artwork, get the best from Twitter, integrate media types into blogs, Vidcast, collaborate and link with each others’ work. We also plan on sparking a few meetings of our own up, as well as begin some interesting and exciting courses….so watch this space! A great example is the collaboration between myself and David Lyness (propofology.com). We formulated a new Safe IV fluid prescription bundle from work I have done over the last 4 years within my trust. This was also echoed in the great work Dr Marcia McDougall has done in her trust, saving money and lives! Below are the embedded files for each of the Podcasts from iFAD 2017…I promised you! I spent a lot of time and had a lot of fun meeting people, interviewing speakers and gathering soundbites of the vibe of the meeting. Thank you to all who took part. Tune in, walk the dog or pop out in the car and have a listen….we hope you enjoy them! There was almost too much going on in the meeting. The programme was beautifully coordinated and we spread out to divide and conquer, to get the best of the rest out to you. Click to take you to the iFAD blogs. Some fabulous stuff to peruse through, put together by our SoMe team. A wide variety of workshops were available at the meeting. You can click the pics to take you to iFAD and there you will see a synopsis of each, delivered by our SoMe team. ‘You had to be there’, rings true as a phrase! Free Open Access Papers from iFAD 2017! In this section, I would like to present some of the free open access papers available – all featured at the meeting. The blog above also contains links to these for you. Cardiac ultrasound: a true haemodynamic monitor? The Baby Boom and later life: is critical care fit for the future? The future of evidence-based medicine: is the frog still boiling? The SEP-1 quality mandate may be harmful: How to drown a patient with 30 mL per kg fluid! Infographs / Pictorials and Images! Below is a collection of the best statements / images from Twitter. Many designed by us to get various messages out there. Bare in mind, some are generalised and controversial, but they were there to stimulate debate; not to define what is gospel! As for the rest of Twitter…too much to put on so each for yourselves here. All the best and further podcast updates to come.